For a Compatible Project see Film Annex & Francesco Rulli leading the effort in Afghanistan Development, building schools in Afghanistan and Afghanistan Internet - See Afghan Development Initiative. For Afghanistan's peace and future, as much as the rest of the globe, the answer is education, internet, connectivity and development - all generally linked. See our Film for Blog Report - Francesco Rulli from UNTV . The Secretary-General also invited young people to take part in global initiatives such as the UN Conference on Sustainable Development (Rio+20), which will be held in Brazil in June, and the Youth Employment Forum at the end of May in Geneva, which is organized by the International Labour Organization (ILO). 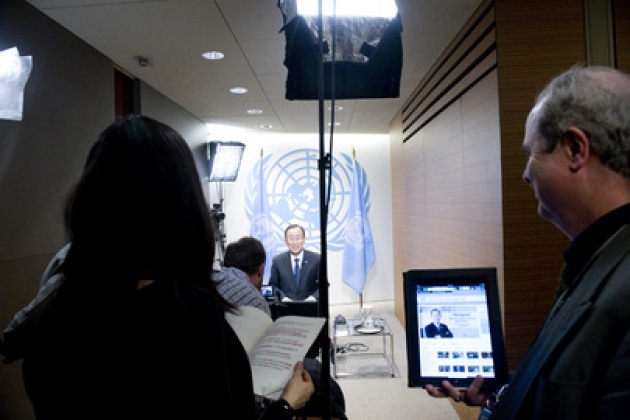 The 45-minute conversation was hosted by Google’s Senior Vice President, David C. Drummond, and was webcast live on the UN’s YouTube channel. The event was a partnership between Google, the UN Department of Public Information (DPI) and the UN Alliance of Civilizations (UNAOC). 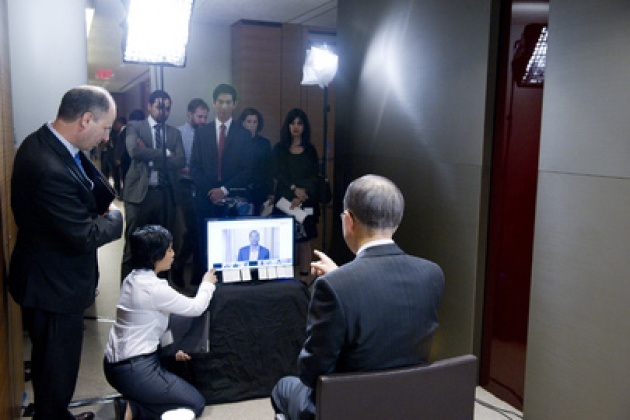 UN Photo - UNSG Ban Ki-moon at G+ "Hangout"